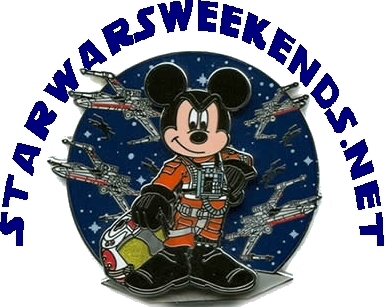 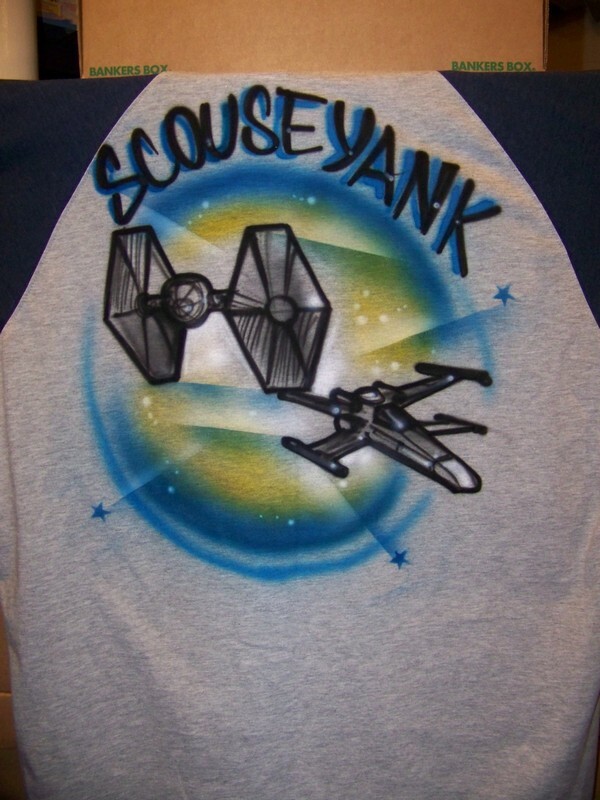 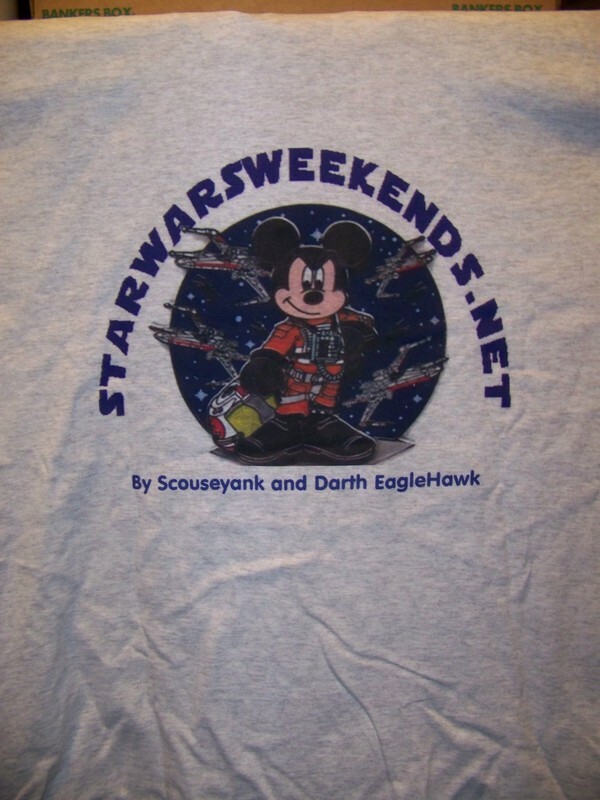 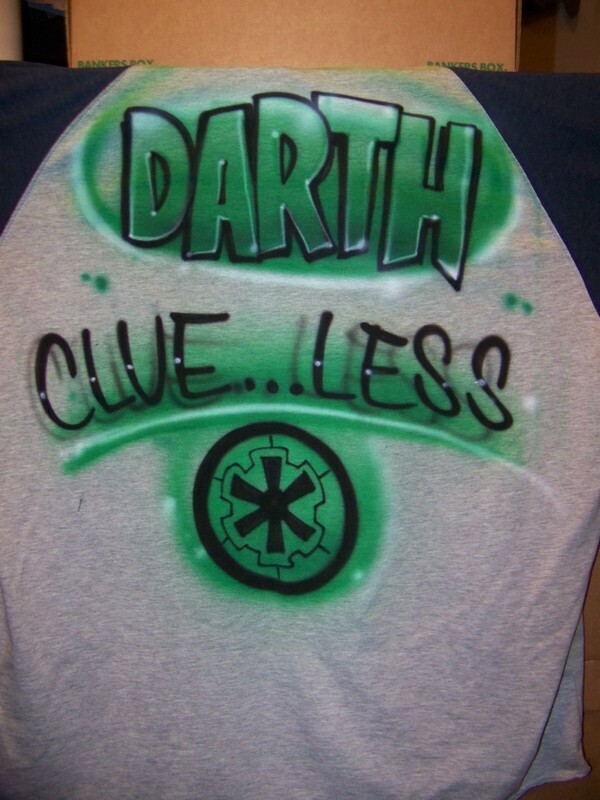 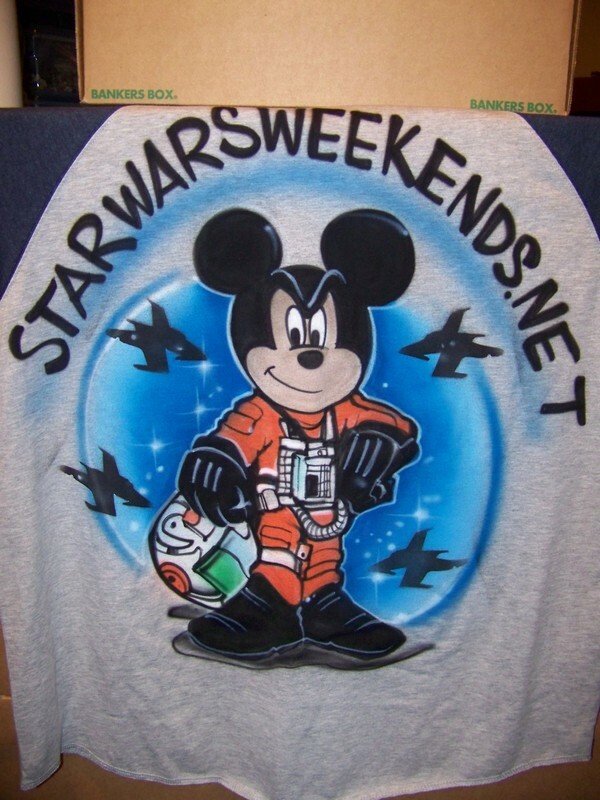 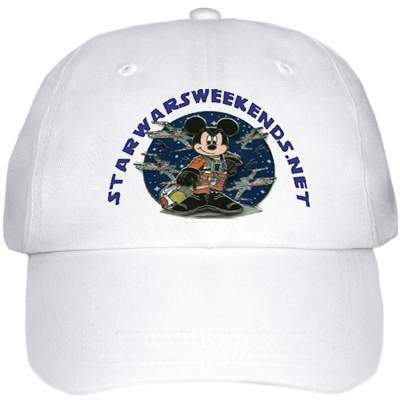 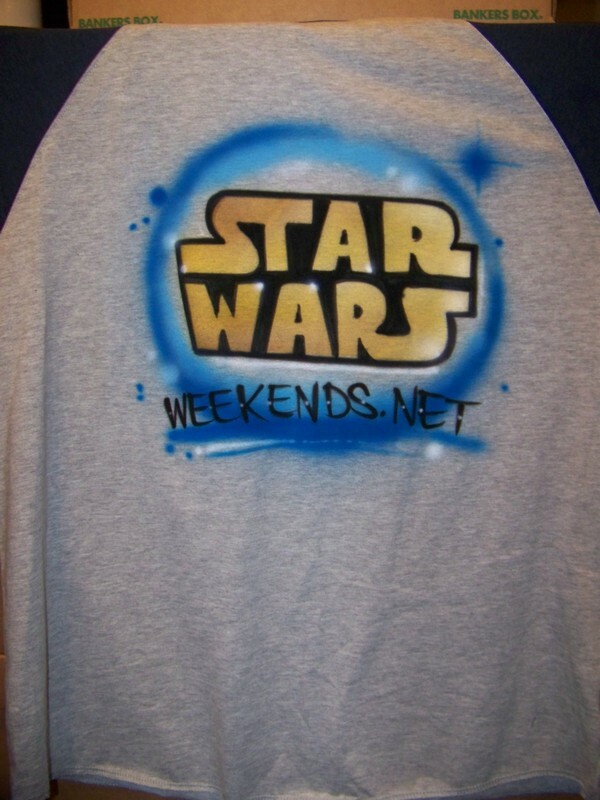 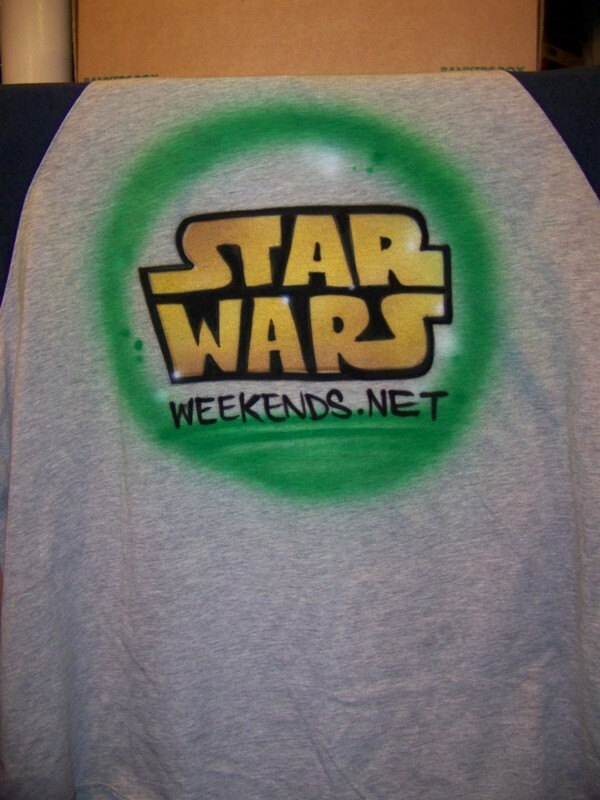 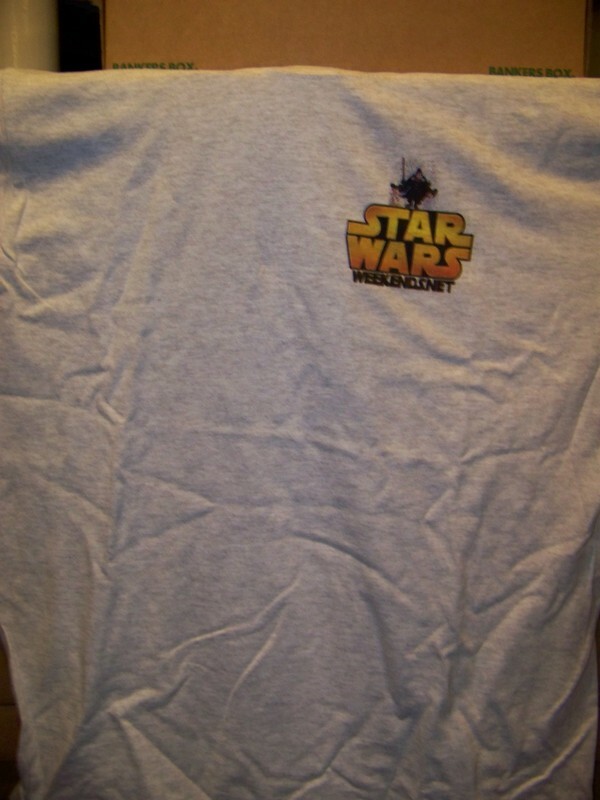 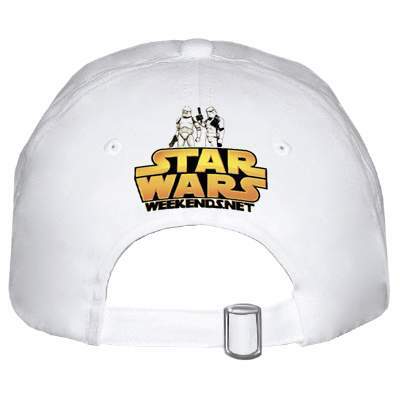 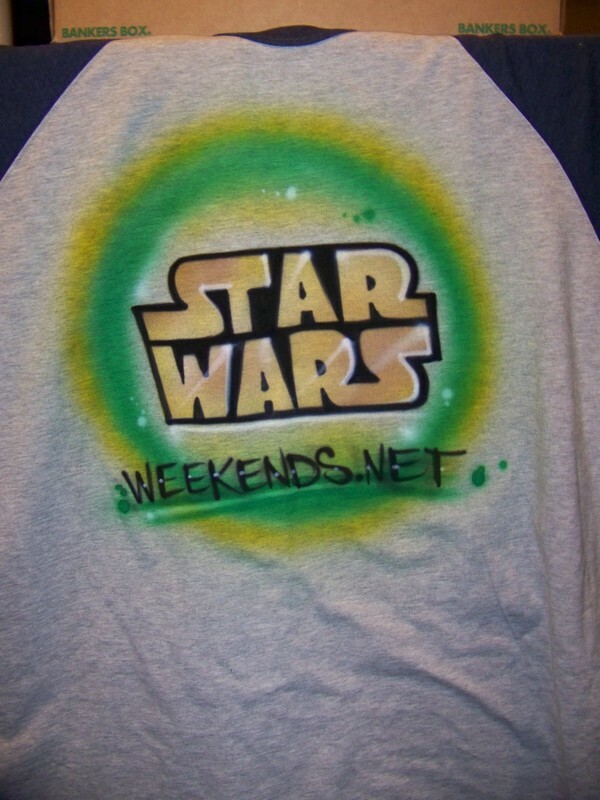 One of the questions I had often at Star Wars Weekends in 2008 was "Where can I buy one of those StarWarsWeekends.net shirt / hat?" 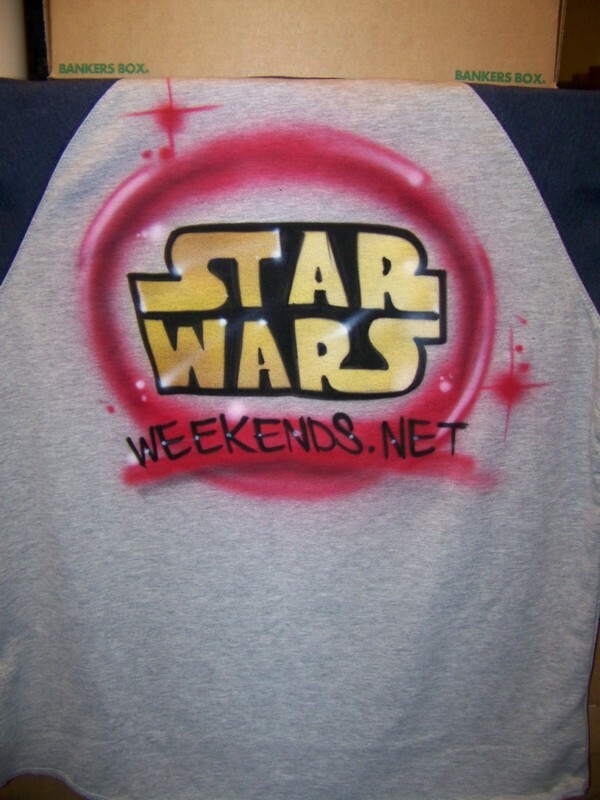 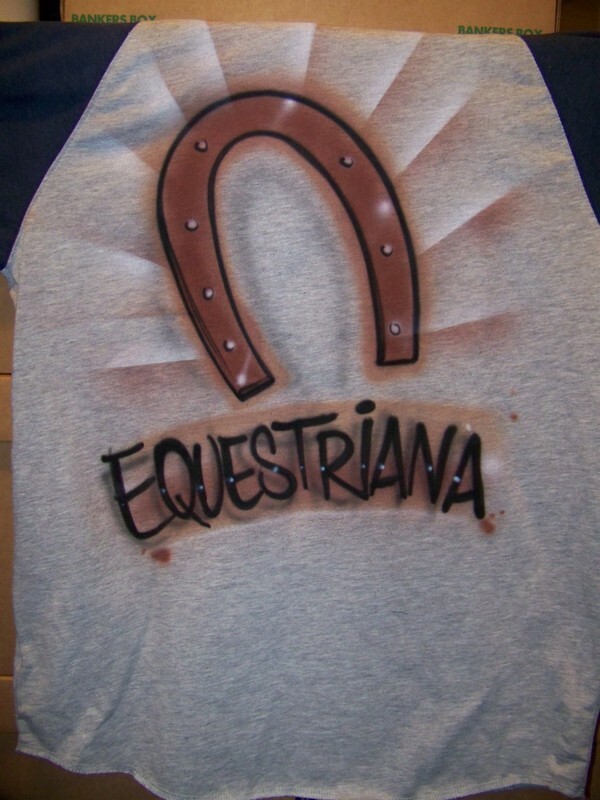 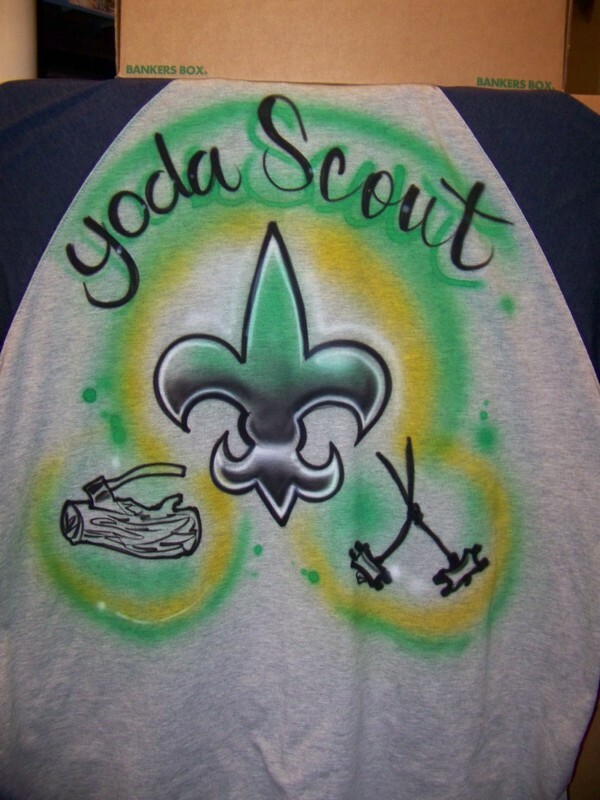 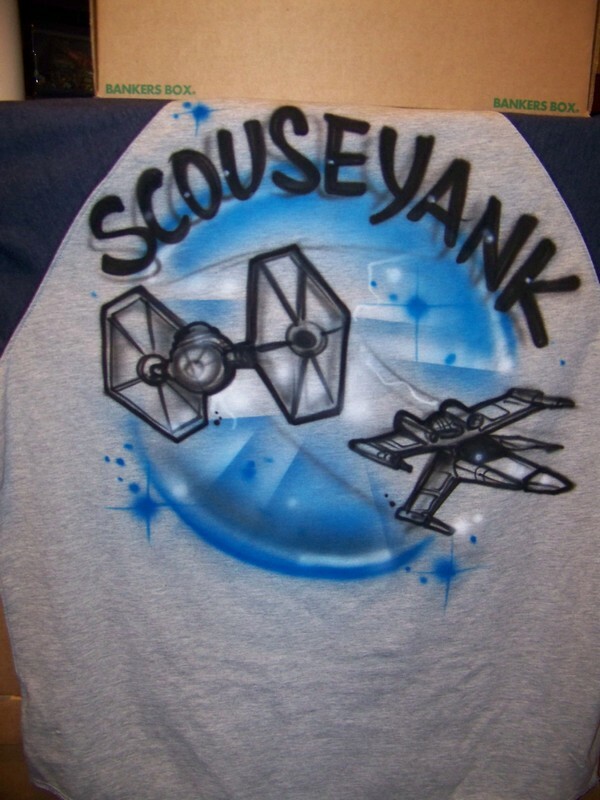 Well, we do not sell them, but if you grab some graphics off this site and go to VistaPrint.com you can get your own. 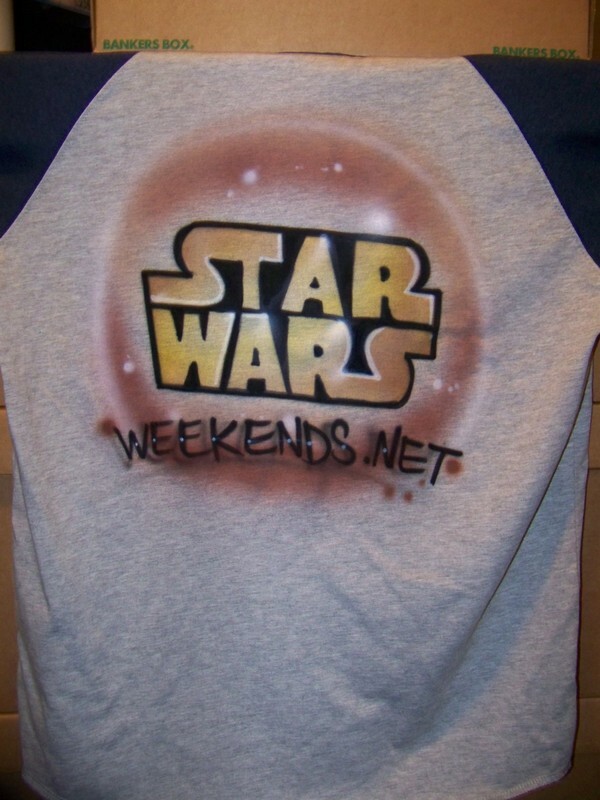 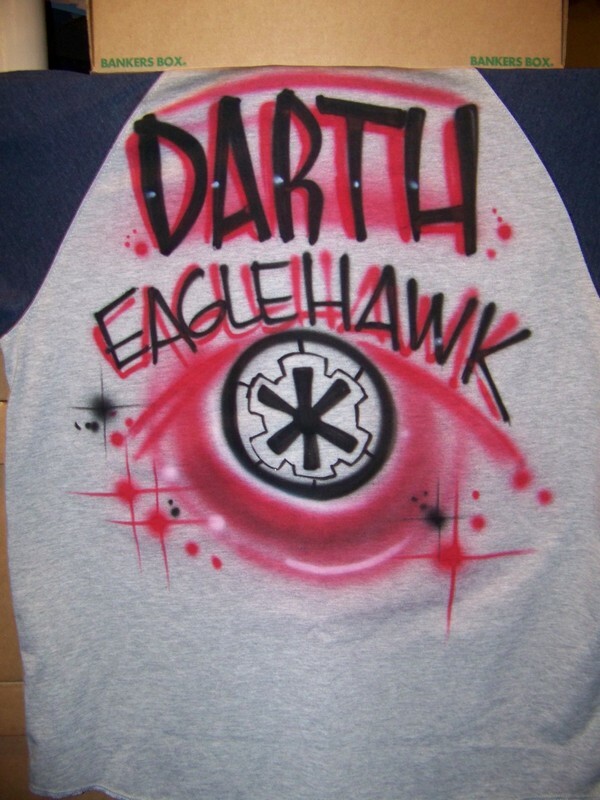 The airbrush ones came from Omar at AirTimes in the grand marketplace in Willingboro NJ.